The Wallabies put on a gritty display to reclaim the Cook Cup with a brave 20-14 win over England in front of 81,000 fans at Twickenham overnight. Ravaged by injury, the underdog Australians bounced back from an embarrassing loss to France last weekend with a stirring defensive effort to keep the home side scoreless in the second half. With one first-half try apiece, the Wallabies capitalised on their limited opportunities while the English squandered theirs and a 15-point haul from the boot of Berrick Barnes proved to be the difference. The dangerous England attack could have stolen a win in the last quarter but were let down by handling errors and poor decision making as the visitors stubbornly held on to their six-point advantage. “We weren’t clinical enough today, we squandered a couple of points and knocked-on over the line and if you play the best teams in the world you’ve gotta take your chances.” said English skipper, Chris Robshaw. While the Australian forwards showed pure grit to create their first-half scoring opportunities, the side’s deficiencies at the restart and under the high ball gave up territory and allowed English fly-half Toby Flood to kick three penalties as Berrick Barnes landed a drop-goal and a penalty in a tense first half-hour. The English applied early pressure with a fast advancing, narrow defence but as the game wore on, the Wallabies started to find space out wide and in behind. After Barnes regathered a kick in his own half, Kurtley Beale shifted the attack wide and half back Nick Phipps ghosted through a hole on the right flank before offloading to Nick Cummins for a 20-meter dash down the sideline for the first try of the game after an earlier effort by prop, Ben Alexander was disallowed by the TMO. 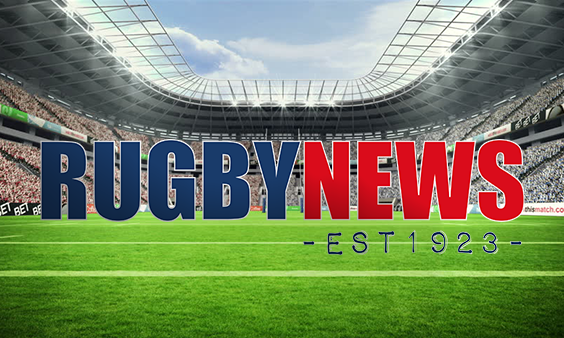 After winning another restart, the English pressed forward and when lively halfback Danny Care took a quick tap from a kickable penalty, the Australian defence was reeling. With a couple of quick passes, a desperate lunge by Manu Tuilagi and confirmation from the TMO, England took a 14-11 halftime lead. Making amends for their insipid attacking performance last weekend against France, a confident Wallabies backline – marshalled brilliantly by the Barnes-Beale combination and backed up by solid performances from Cummins and Ben Tapuai – continued to find space behind the English defence. Three quick penalties to Barnes gave the tourists their eventual 20-14 lead with plenty of time left on the clock but the impact of the English substitutes swung momentum back in favour of the hosts. Having tasted success from a quick tap in the first half, England refused the shot at goal from successive penalties as they tried to wipe out the Australian advantage in one go with a seven-pointer. Handling errors and resolute Australian defence thwarted wave after wave of English attack as the clock ran down and the hosts were left frustratingly short of a win.